If you didn’t try the Biscoff Nutella Bars and still haven’t tried Biscoff at all, here’s your chance! 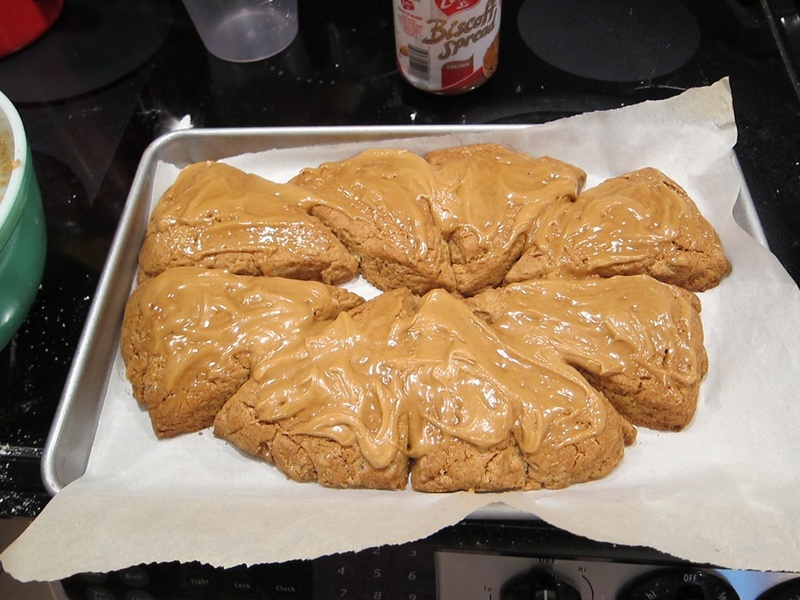 These Biscoff scones come together quickly (important in a breakfast food) and aren’t super sweet (unlike some breakfast things, I didn’t tag this both breakfast and dessert (I actually like super sweet, but I know some people can’t handle it, especially at breakfast)). 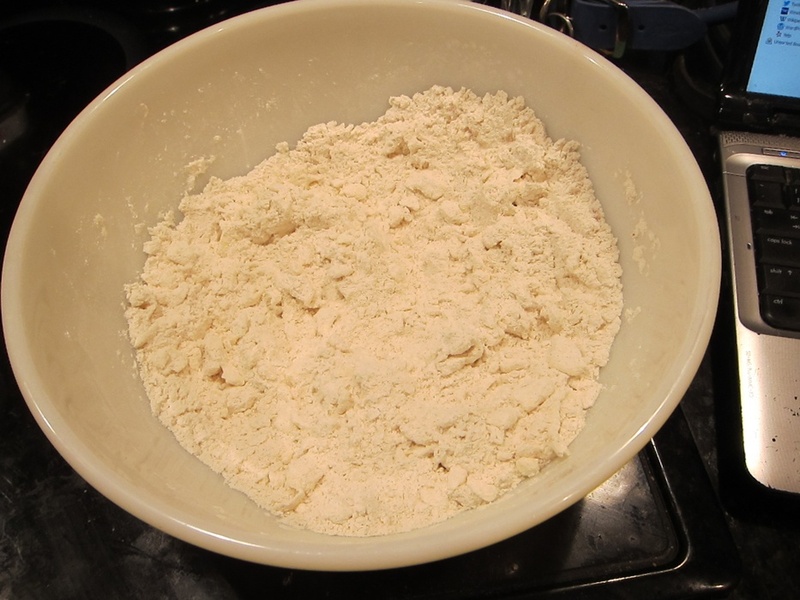 In a large bowl, whisk together the flour, sugar, salt, cinnamon, and baking powder. Work in the butter with your fingers or a pastry cutter until only small lumps remain. 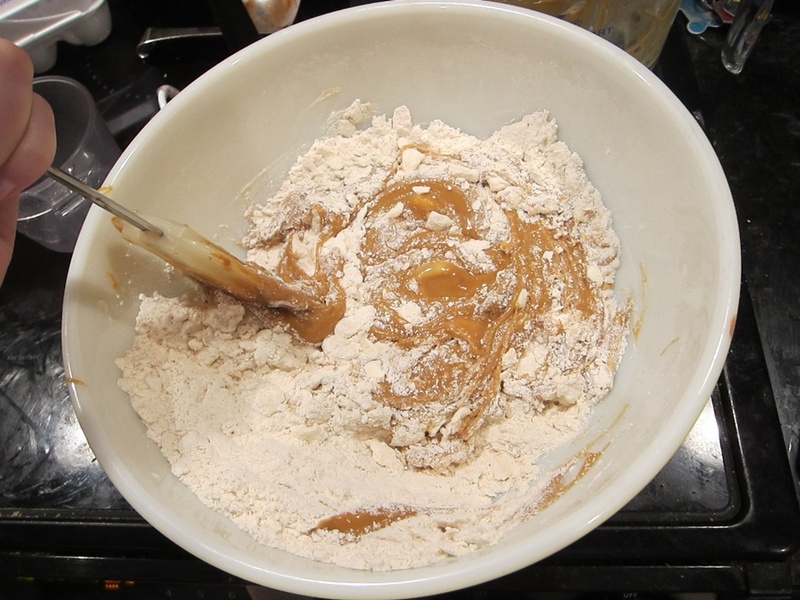 In another bowl or large measuring cup, combine the eggs, Biscoff, and cream, stirring until well mixed. Stir into the dry ingredients until evenly moistened. 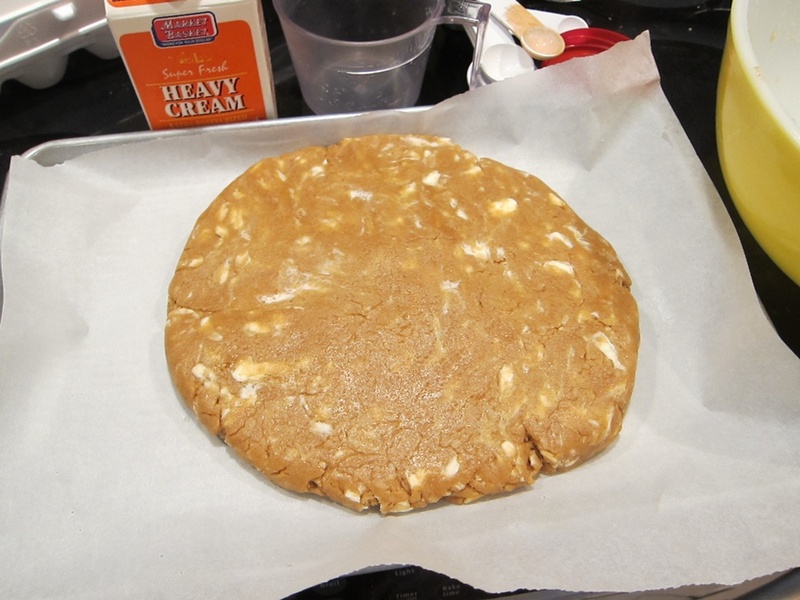 Turn out onto the parchment lined sheet and pat into an 8″ circle. Smaller than usual pan, not an enormous hunk of dough. Cut into 8 equal wedges. I pulled mine apart a bit, since it seemed cramped. They held together well. Bake 20-25 minutes, until nicely browned. Let cool for 5 minutes while you whisk together the glaze ingredients, then drizzle it on. 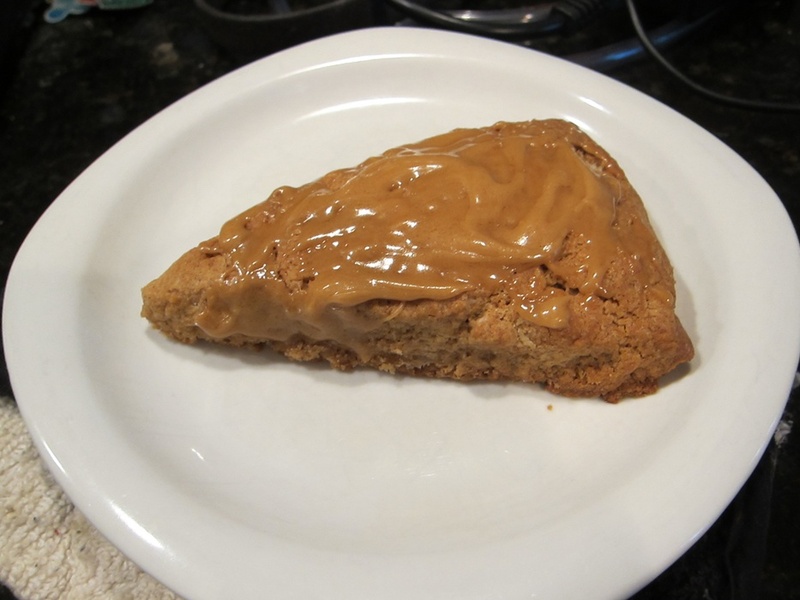 I used the smaller amount of cream and just let the heat of the scones melt the glaze on. 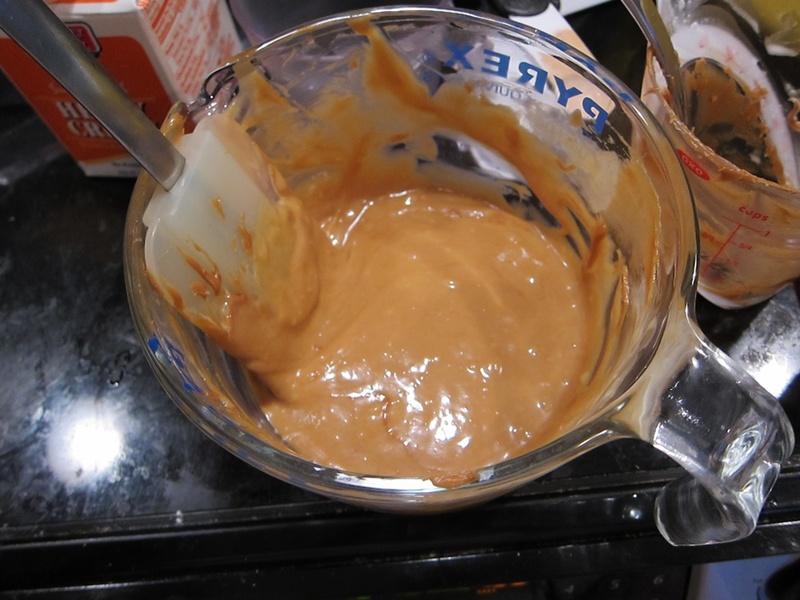 In another bowl or large measuring cup, combine the eggs, Biscoff, and cream, stirring until well mixed. 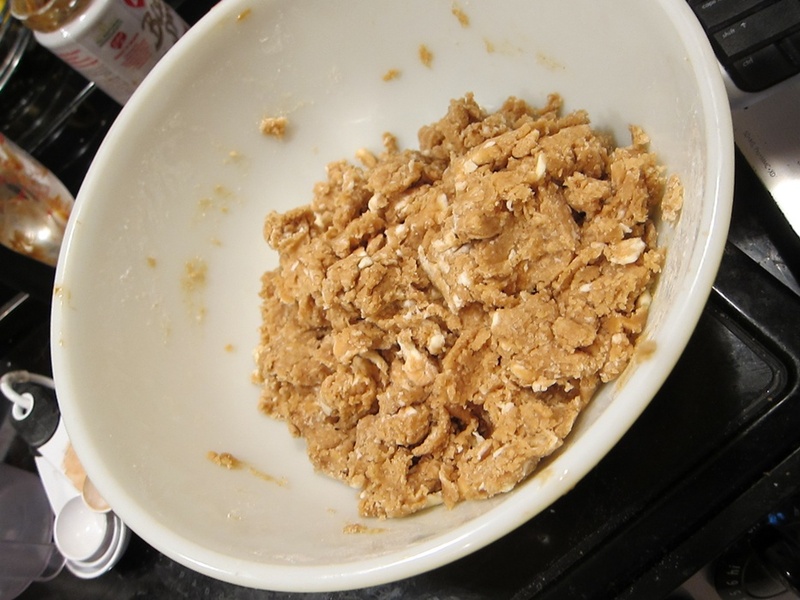 Stir into the dry ingredients until evenly moistened. 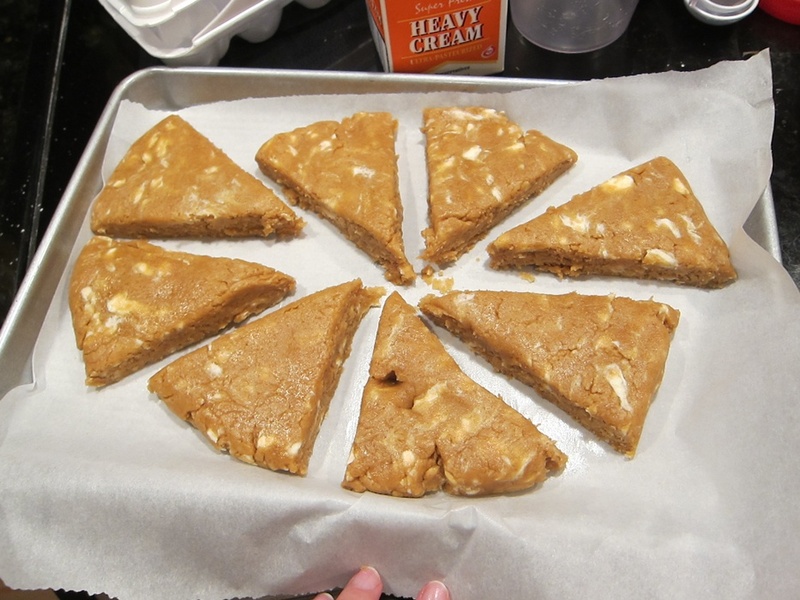 Turn dough out onto the parchment lined sheet and pat into an 8″ circle. Cut into 8 equal wedges, then bake 20-25 minutes, until nicely browned. Let cool for 5 minutes while you whisk together the glaze ingredients, then drizzle the glaze over the scones. 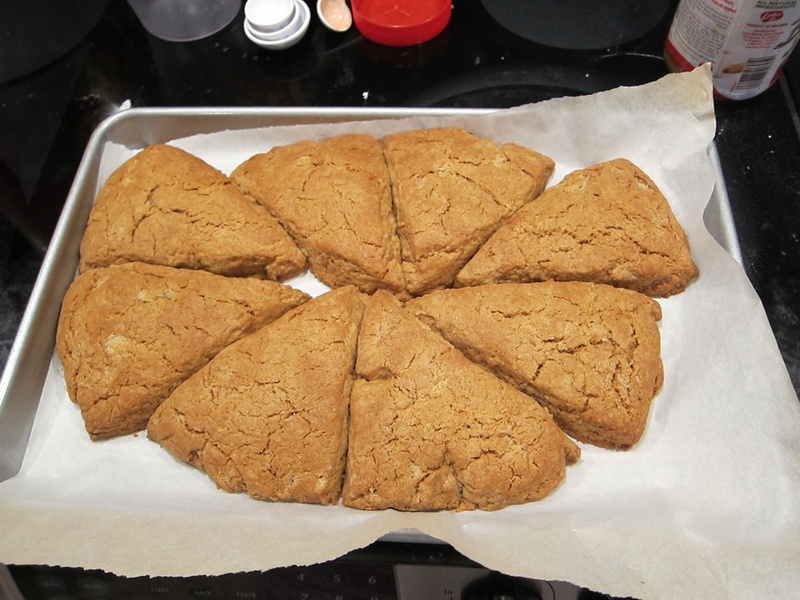 This entry was posted in Breakfast and tagged Biscoff, scones. Bookmark the permalink.